Best Day Ever. 12 1/2 Restoration. Most recently named Pooka. 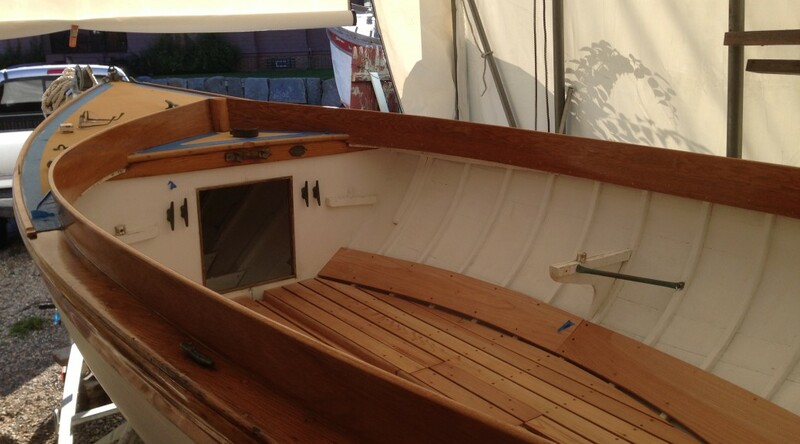 This boat came to me from the Herreshoff Maritime Museum’s sailing fleet on it’s way to new ownership in Clayton NY. While in sound shape, the boat needed a few pieces replaced, a few repairs, a new rig, and a lot of cosmetic work to bring her back to a nice yacht finish.